Hello and happy Tuesday!! 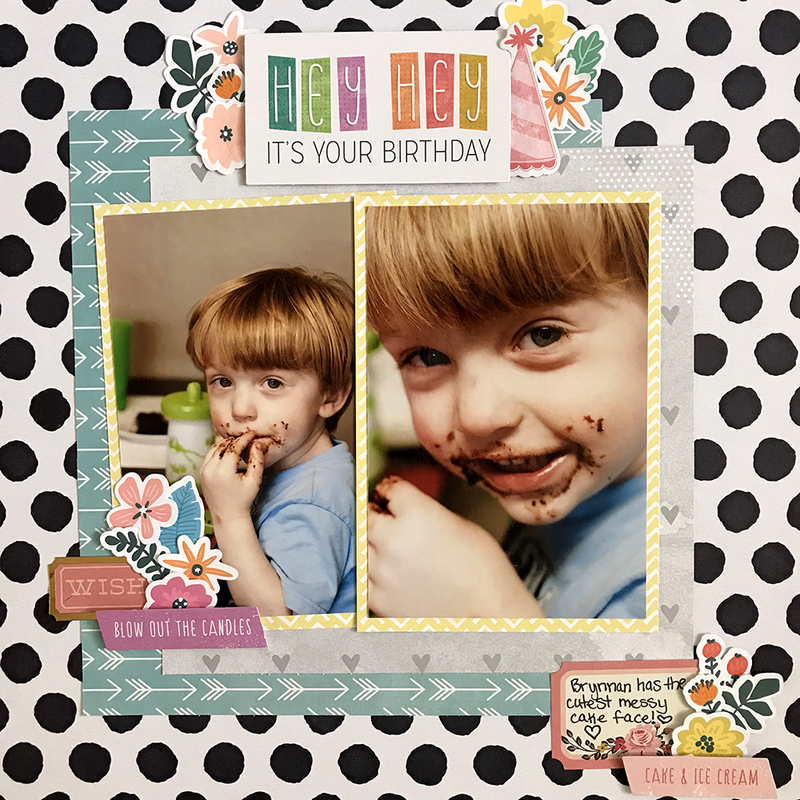 I have a fun birthday layout using supplies from my stash for this fun series with my scrappy friend Beth. Make sure to check out her layout too! I am so in love with how this layout turned out!! 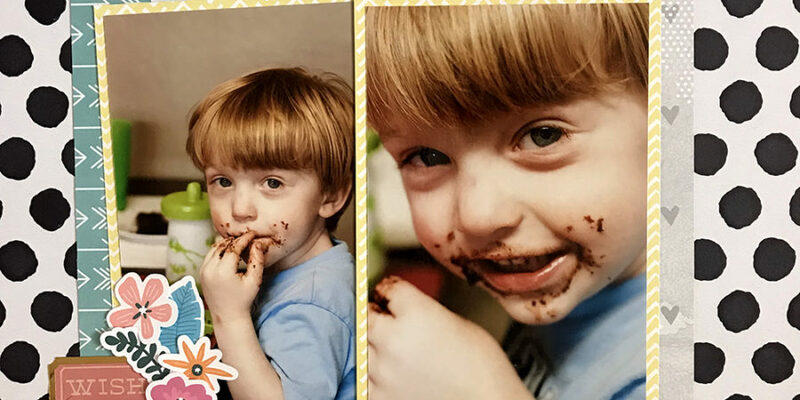 I really wanted to focus of the layout to be these adorable cake face photos of my little toddler Brynnan! I love those chunky cheeks and the messy look with that smile! It’s just too cute!! You can watch my layout share video below. I had a little snafu with my webcam and it only recorded the last 5 minutes of my process video. I’m so sad because I really like how this layout came together. Anyway, I do show you my finished layout and talk about my thought process as I made the layout. Next Post Cheeky Studios Panda-Monium ~ Can You Hear Me?